I wanted to write a post about my personal experience with research, historical facts, and the elements of my novel that I chose or needed to construct. While I’m no expert on the subject of historical writing, in the process of researching my novel I discovered that historical fact is not always an exact science. There were two subjects in my novel that I needed to research as I wrote, one was historical, the other was mythological. This post will focus on the history. I will follow up in another post with an explanation about the liberties I took with the mythology. As I plotted out my novel I knew I wanted to set the story in England, and I knew, because of the nature of the mythology I was using, I needed to select a time in Britain when Christianity was present, but not entirely ubiquitous. Roman-Britain might have been a good choice, but I wasn’t too keen on having Roman imperialists messing with my characters. And since I’m such a King Arthur fan, I decided that the Early Middle Ages was the perfect setting for my story. This time in British history was ambiguous. Everything that provided stability and prosperity under Roman rule was in decline, but there is still much debate among scholars about just how “dark” these ages truly were. That’s what I liked about it. I knew that town life in sub-Roman Britain had mostly reverted back to a more agrarian existence, and there were Saxon invasions happening at different times throughout the newly formed and constantly changing realms. But I needed to find a place with some stability. 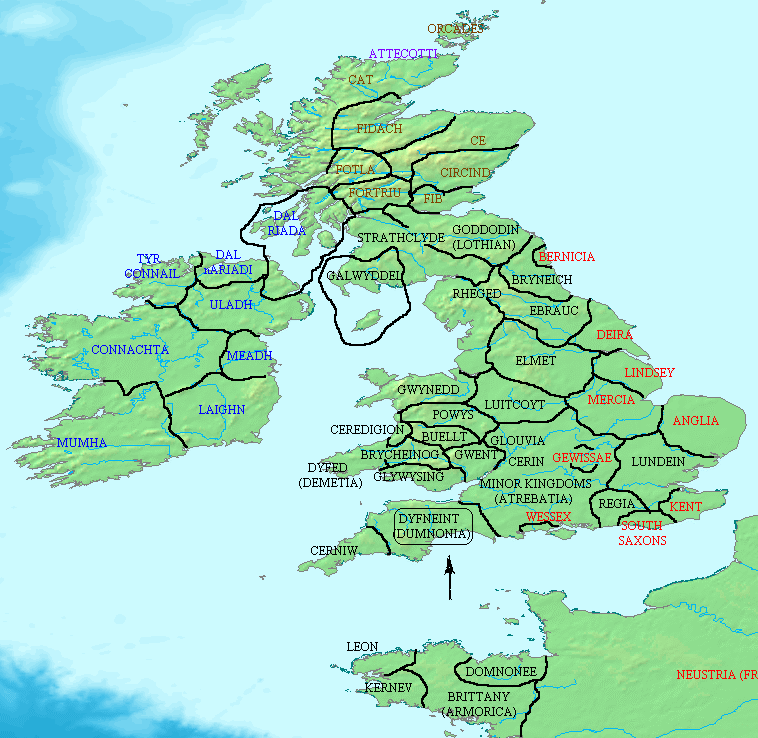 So I did some research and learned that the south-western part of Britain (Devon and Cornwall), known as Dumnonia, had maintained autonomy under Roman rule, and was less affected than other realms by the Roman withdrawal. While Christianity certainly existed in Dumnonia, the prevalence of Celtic tribes, and the remnants of paganism gave me the perfect setting for conflict. When I get to the mythology of my story, I will explain why I chose Dumnonia and not Ireland for my setting (there was a method to my madness). So I had my time and I had my place, but what about the geographical details? It’s not hard to imagine that 1500 years ago, the landscape of south-west Britain was probably very different from what it is today. I knew I wanted my setting on the ocean directly across from Ireland, so I went to Google Earth, honed in on an area and studied the landscape as it is now. But I also wanted a forest in my story. 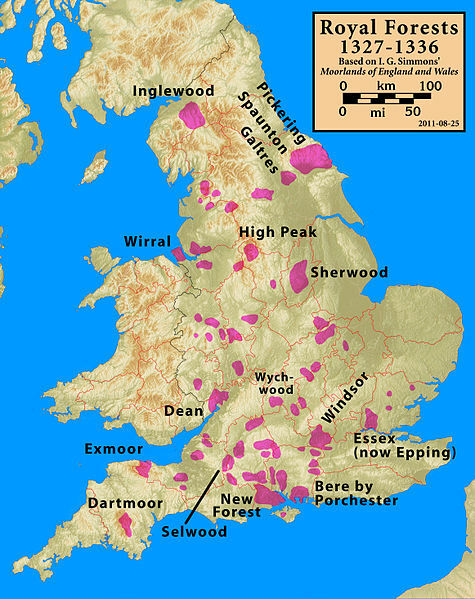 There aren’t many forests in Devon County now, but what about in the 6th century? I started searching old maps and finally came across a map from the 14th century that detailed the “royal forests.” There weren’t many, but I figured that was close enough, and so I used the locations of these forests to map my setting. Now here’s where the imagination comes in. While the names of the realms and the kings I listed are accurate to the time period, I chose to invent the names of the villages, forests, and rivers. It’s my story, so I’m allowed. With regard to the language of the period, I know that the people of Dumnonia spoke a Bythronic dialect, but I chose not to emphasize that. And since my characters are of Irish descent and their mythology is Irish, I felt that Gaelic was the language they would use to describe themselves. As with all writers of historical fiction, I am sure there will be critics to decry the historical inaccuracies of my novel. I’ve seen it happen to even the most prominent writers, no matter how believable and captivating their novel might be. What I’ve learned in writing this book is that our understanding of history is ever evolving, and while a writer should try to represent a time period with as much accuracy as possible, fiction is fiction, and sometimes the rules need to be bent in order to tell the best story. This entry was posted in The Writing Life, Uncategorized and tagged author, fact vs fiction, fiction, history, literature, novel, publishing, writing. Thanks for the follow. I really admire your effort in tackling historical fantasy. I’ve got a historical fantasy project I’ve been struggling with for several years and it’s making me crazy. Good luck with your query process!